Spicy Chili Con Carne recipe is a thick stew that will warm you from the inside-out. This filling dish is rich and packed with flavor! The Instant Pot makes it a 30-minute meal. Chili Con Carne is a warm spicy dish that is stuffed with meat and warm flavors. It’s filling and versatile. This dish makes a great stew but would also make an amazing enchilada filling. 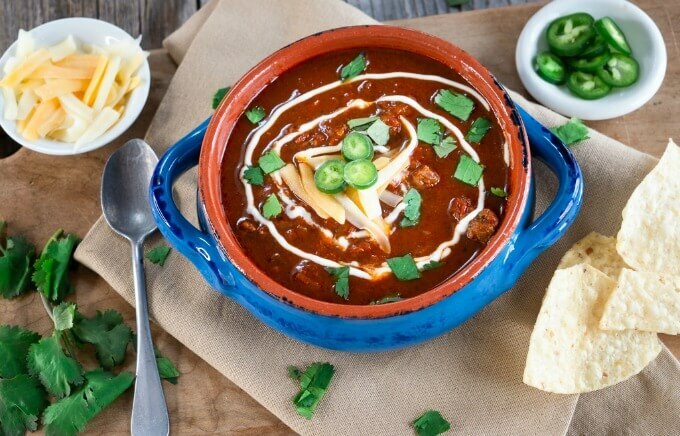 Being an Instant Pot recipe, it makes this simple chili recipe perfect to throw together after a long day of work or in between errands. There are several reasons that it’s the perfect time to make this Chili Con Carne recipe! 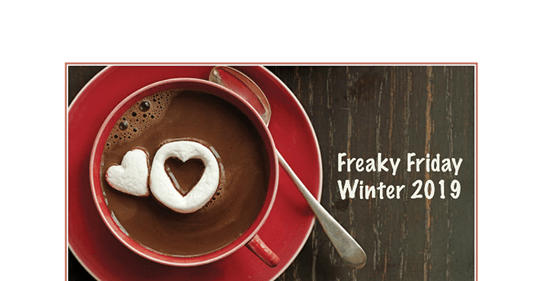 It’s Freaky Friday Winter Edition! Freaky Friday Winter arrived just in time. The Freaky Friday blog hop, organized by Michaela who runs An Affair From the Heart, is a group of bloggers that are secretly assigned each others’ blogs from which we choose a recipe appropriate for the theme. The blog that I was given was Aunt Bee’s Recipes. Brandi is the creator of Aunt Bee’s Recipes and is certainly a busy bee with two children and a hubby. She states that when she got married she couldn’t boil water but now loves pouring through cook books and cooking for her family. 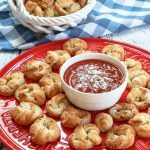 Her blog Aunt Bee’s Recipes have some amazing recipes that are perfect for the busy family. I had a heck of a time deciding which recipe to pick. I really had my eye on her Crockpot Jalapeno Popper Crack Chicken or her Butterfinger Poke cake but once I saw her Chili Con Carne recipe I knew I found the first recipe to try. Chile Con Carne garnished with jalapeno slices, cilantro, cheese & sour cream. Chili con carne or chilli con carne meaning “chili with meat” is a spicy stew containing chilipeppers, meat (usually beef), and often tomatoes and beans. … Geographic and personal tastes involve different types of meat and ingredients. When it comes to the story of chili, tales and myths abound. While many food historians agree that chili con carne is an American dish with Mexican roots, Mexicans are said to indignantly deny any association with the dish. Instant Pot – I really recommend this Instant Pot. It has been so easy getting to know. I have the 8-quart size but the 6-quart size would be adequate for most recipes. We love Chili and Mexican inspired flavors. This Easy Chile Con Carne recipe delivered on both. I loved how easy this recipe was and I’ll be making it a regular in our house. 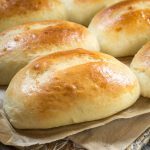 Here are a couple more recipes I think you’ll love! Spicy Chili Con Carne is a rich and thick stew with warm spices. It’s a quick recipe to make and perfect for busy schedules. Add vegetable oil to the instant pot and set to saute. Cook the sliced steak until browned in batches. Avoid overcrowding. Remove steak and place it on a plate or in a bowl. Continue until all of the meat is browned. Add onions and bell pepper to the instant pot. Saute for 5 minutes and then add the minced garlic and jalapeno. Saute for an additional minute. Add the meat back to the instant pot with the sauteed vegetables. Add tomatoes, lime juice, sugar, chili powder, beef broth, salt, and pepper. Place the lid on the instant pot and turn to close. Close pressure release valve. Set the pot for 12 minutes on high pressure. When finished, let the pressure naturally release for 10 minutes and then manually release pressure. Garnish with cheese, sour cream, cilantro, and tortilla chips. The original recipe uses bacon grease for sauteing steak. See what else is cooking from my Freaky Friday friends! Mmmm I want a big bowl of this!!! It looks so yummy!! Chili is my go to for cold weather days and as usual, you tantalized my tastebuds! Made this over the weekend…. it was absoflipping delicious! Thank you, Michele! It was super easy and we loved it too! At any given time, you’ll always find a couple containers of chili in my freezer. It’s a staple in the winter time. I love eating it as a soup or also as a meal. Now I have another recipe to add to my long list of chilis 🙂 Thanks for sharing. Thank you, Loretta! I’m a chili hoarder and get nervous when my supply gets low. I love it so much that I eat it all year round. This looks incredible, what a delicious bowl chili and I love that you used the pressure cooker – on the menu!! Thanks, Deb! I’m loving the Instant Pot for making the tougher meat tender. I was just looking for a new recipe to make in my Instant Pot, thanks for such a great recipe. Hearty and full of flavor! Thank you, Lori! This one is definitely a keeper! Bring on the spice! Boy, what a tasty meal. 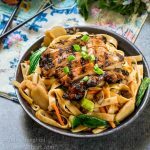 Great for guests and love that it cooks so quick in an Instant Pot! Thank you, Sandra! I’m loving my Instant Pot! I have a soft spot in my heart for chili and this recipe in my instant pot is so amazing!! I am planning on making it again later in the week! This sounds like such a flavorful meal! I have to make this for dinner this week! I had NO IDEA there was a National Chili Day! 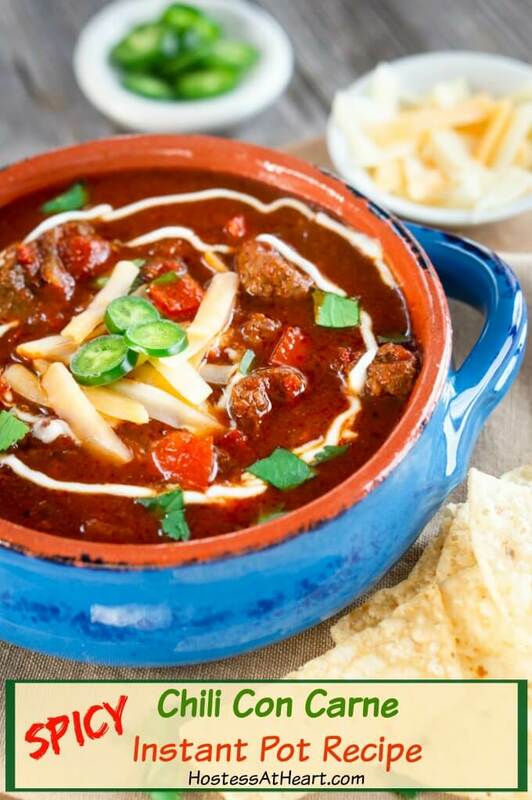 We’ll clearly be making this chili con carne for that because YUM! I love a good spicy chili recipe, and so does my husband. And the fact that this is made in the Instant Pot just makes it that much easier. With two little ones and busy lives, I’m all about homemade comfort food that cooks quick! Thank you, Erin! I’m with you, easy homemade comfort food is the best! That is some delicious looking chili con carne! I love the presentation and I love it spicy! 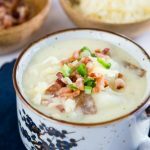 I’m always looking for new ways to use my instant pot – this looks like a delicious one! It looks gorgeous! Thank you, Kylee! I’m loving my Instant Pot! You don’t even know how excited I am that you got my blog in this round of FREAKY FRIDAY and you picked one of my ALL TIME FAVORITE RECIPES!!!!! I am so glad you enjoyed it! I LOVE your photos!!! Thank you, Brandi! We truly loved that recipe and I ate it every day until the dish was empty. I’ll definitely be making it again. I love a good chili con carne, especially if it’s spicy! This is hearty and amazing and I love that I can make it quickly in my instant pot! Thank you, Kathy! I’m looking for warmth anywhere I can find it! I have actually made Brandi’s chili con carne before, and I can attest to just how good it is, too!! You did a gorgeous job with it, and as always your photography is amazing! Thank you, Michaela! We loved this recipe too.